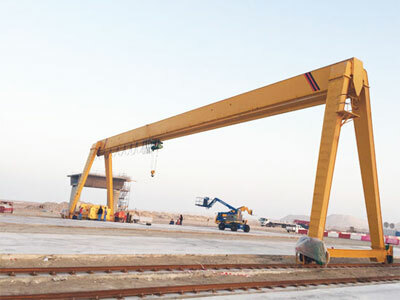 MH single girder gantry crane is a typical gantry lifting equipment used for light duty to moderate services. 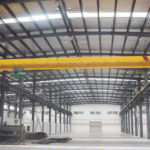 It is adaptable to a variety of fields and sectors, such as workshop, freight yard, construction site, railroad, port and shipyard. 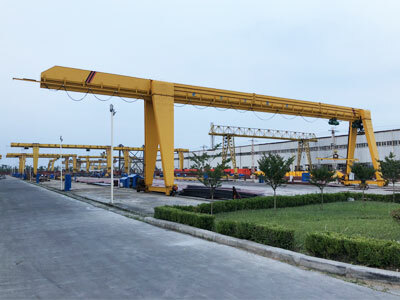 The single beam gantry crane is generally outfitted with CD1 and MD1 electric hoist, and the capacity is in a range of 3 tons to 16 tons. The light duty single girder crane is designed and fabricated in line with JB566.3.2-91 standard. It travels along rails mounted to the ground. 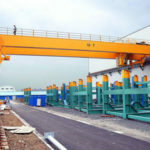 Incorporating the uses of several simple mechanisms and units, the MH single girder gantry crane will accomplish the material handling efficiently and safely. 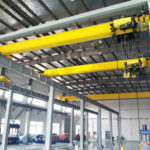 The single girder crane mainly consists of gantry frame, hoist trolley, crane travelling mechanism and electrical device. 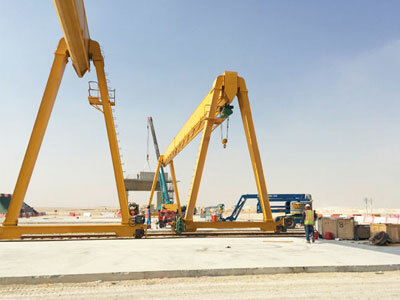 The crane gantry frame is a box-shaped metal structure composed of the main beam, end beam, supporting legs, end carriages, walkway and railings. 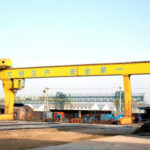 With respect to the cantilever design, there are single cantilever, double cantilever, gantry crane without cantilever for your choice. The trolley mechanism consist of two main parts, hoisting mechanism and a trolley. Regarding the load to be lifted, duty cycle and ease of use, one or more hoisting mechanisms can be arranged to travel along the bridge girder. 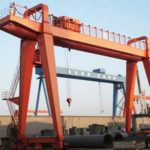 The MH model single girder gantry crane can also be equipped with European standard electric hoist on request. The trolley is normally laterally suspended to the single girder crane. Other suspension methods can be designed for your requirements. Crane travelling mechanism adopts separate drive system that provides convenience for installation and maintenance. Electrical devices are outsourced from reputable suppliers from home and abroad. In terms of control system, there are pendant control, wireless remote control and cabin control for you to choose from. The crane control system will be fitted with a manually reset emergency stop button to ensure a secure lifting operation. Options for safety devices include anti-collision device, anti-swaying device, limit switches, overload limiter and travelling limit switch. 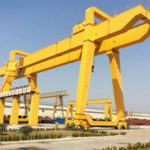 In regards to gantry crane design, whatever your requirements, we will find a solution that works well with your businesses. 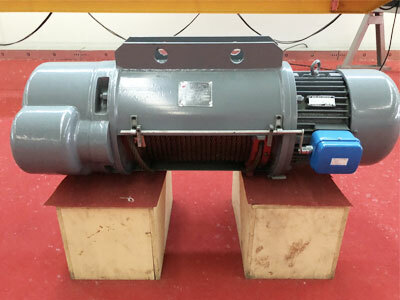 The travelling mechanism adopts three-in-one transmission device, and the reducer is in the form of a vertical axis that provides compact structure and convenient assembly. It is normally controlled electrically that provides reliable and efficient operation. The trolley is laterally suspended to the single girder crane. Custom design is offered in regards to special lifting requirements. 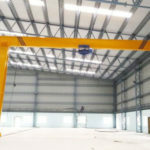 Typically, the MH model single girder crane can be employed in both indoor and outdoor occasions to handle general materials. Due to simple structure, low cost and high performance, it is a cost-effective solution for lifting light to moderate loads. Because of its relatively low level of work duty, it cannot be used in areas that require heavy duty or frequent lifting services. 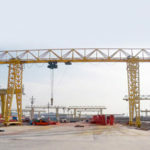 We offer a range of single girder gantry cranes that can be any size and lifting capacity in order to serve your individual needs. 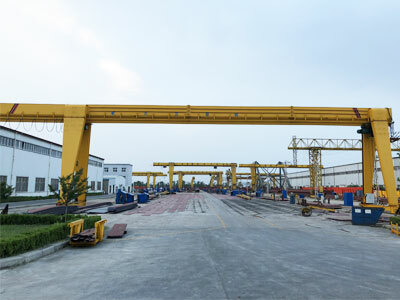 As a reputable gantry crane manufacturer and supplier, Dafang crane has produced various lifting solutions for many industries and sectors. We fully manage the crane design and fabrication to ensure it delivers appropriate and safe lifting functions. To get a free quotation, contact the sales manager online or send an email!